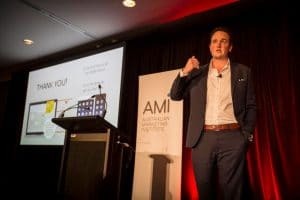 I was recently invited to speak at the Australian Marketing Institute’s national Marketing Summit entitled “Brand BFF: Become a brand that customers love”. Of course there are different strategies (with varying degrees of success) that brands implement in an effort to “make friends” with their customers. Thinking of brands that get it right the example that immediately springs to mind is Apple. The Apple brand is so firmly placed in the hearts of their customers that many actually perceive Apple as an extension of their own identity. They are fiercely brand loyal, the ultimate “Brand BFFs”. For us mere mortals, working on brands that do not evoke such a strong emotional connection, how do we make brand BFFs? From my experience working on brands that can find it difficult to make friends (think banks, insurance companies, energy retailers, super funds and many more), here are some of the things I’ve learnt along the way. Think about your really close friends. What makes them your “BFF”? A huge part of what you love about them is likely less about them and more about you (we’re a narcissistic bunch). It’s the fact that they know and understand you so well. Your relationship with them is effortless because they know what you need. This has to be true for brands and their customers if they want to create a meaningful relationship with them. Use your customer data to really get to know and understand your customers individually. If you can identify what they need before they know that they need it (via predictive modelling) then you’re really making friends and influencing! For the vast majority of the organisations that I work with obtaining customer data is never an issue. They have tons of the stuff. From transactional data to customer survey data and everything in between most companies have all the customer information they need to demonstrate understanding and make friends out of their customers. Yet many of them aren’t. Why? Because they are drowning in data. Get the right systems in place to decipher your data and glean the insights you need rather than getting overwhelmed at the sheer volume of data. Think about your friendship groups. You will automatically start to categorise them in your mind. You may have work friends, childhood friends, sports team friends and so on. Your work colleagues may be quite different personalities from your sports friends. You will converse with each group slightly differently based on the common interests of that group. However, what you don’t do is communicate with each member of a group in exactly the same way. They are individuals with their own attributes. Your customers are exactly the same. Acknowledge the segment they fit into and converse with them accordingly but beyond this they are individuals. You won’t make friends with them unless you recognise this. We all know that the days of talking “at” customers are well and truly over. Nowadays it’s about creating a dialogue, engaging in a conversation. While data plays a vital role in providing insights into customer behaviour, it can’t be at the expense of actually asking them what they need and acting on it. Great friendships are about balance not about one party having control over the other. As brands we need to empower our customers to have control over the interactions they have with us. Let the customer take the lead on how they want those conversations to play out – via mail, email, mobile or a combination of these depending on the interaction. The friendships that stand the test of time are the ones that evolve with us as we mature. At different stages in our lives we require different things from our friends. This is also true of your brand’s customer lifecycle. Recognise where your customer is at and what they need and each specific stage of their lifecycle.